Courtesy of the efforts of Ringer mukankakuna on the TORn forums, here’s a video that reveals the differences between the trailer and the theatrical release of The Hobbit: The Desolation of Smaug. As others have noted, perhaps the most significant change is to the colour-grading. The colours in the theatrical release are much more muted, and as one commenter put it, bleak. In particular, gone are the super-saturated blues that many objected to when the trailer was released. As someone who has railed against the teal and orange trend, I think the more natural colour palette is definitely better. 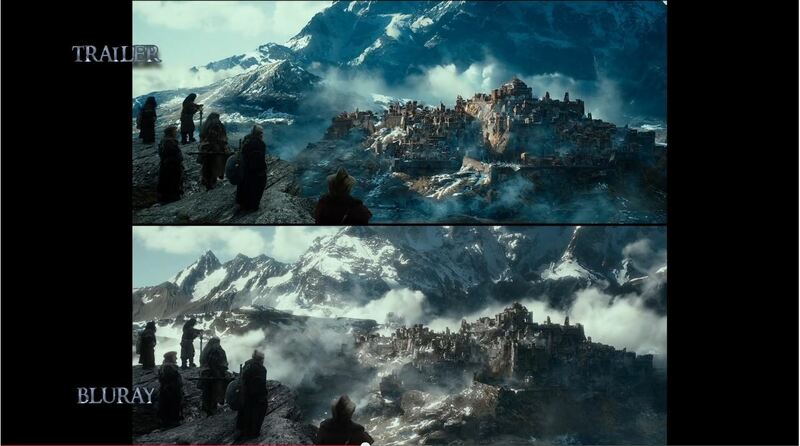 In some shots, you’ll also see the background has altered. In one, Azog is replaced with an entirely different orc. Interesting stuff.